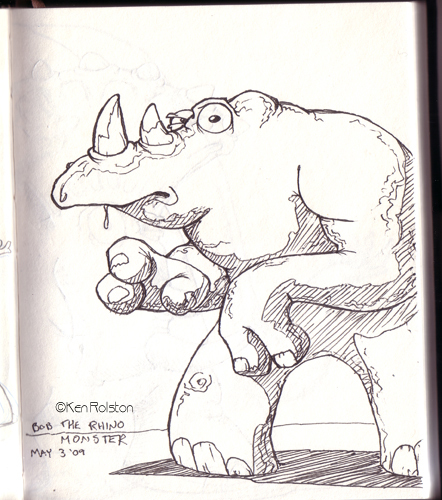 Today’s drawing is Bob the Rhino Monster. The Line down Bob’s side is the edge of the paper he was drawn on. I left it in the image because he just looked weird without it.